Todd Heckman, Al’s dad, has been into restorations since way before Al was born. According to Al, he was an aircraft mechanic “who built and rebuilt cars, but never tackled bikes”. It was only after acquiring a 1967 Triumph TR6 Trophy 650 that they really began to get into the swing of things. Then, Todd decided it was time to instil the passion for rebuilds in a young Al; “when he finally got the chance to purchase it, it was his mission to use it to teach me about engines and the mechanical attributes that go along with them”. The whole process took the pair 4 years, “[it] would’ve been quicker without life happenings along the way!” which further fuelled their desire to create more and more custom work together; “our motorcycle addiction was fuelled and other bikes popped into our garage much like children in families appearing along the way unexpectedly!”. Their labour of love continues to this day, with Al telling of how they rode their restoration projects together recently “We completed the gentleman’s ride, and even a few shows, winning the Martin Moto Modern Classics People’s choice in early 2019” and we hope they continue long into the future! 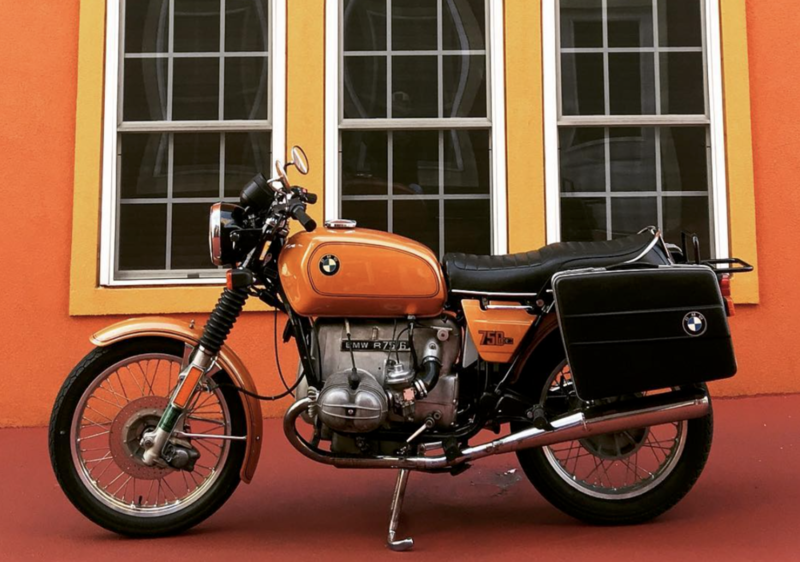 Al has a compelling argument to validate his unwavering love for vintage bikes. 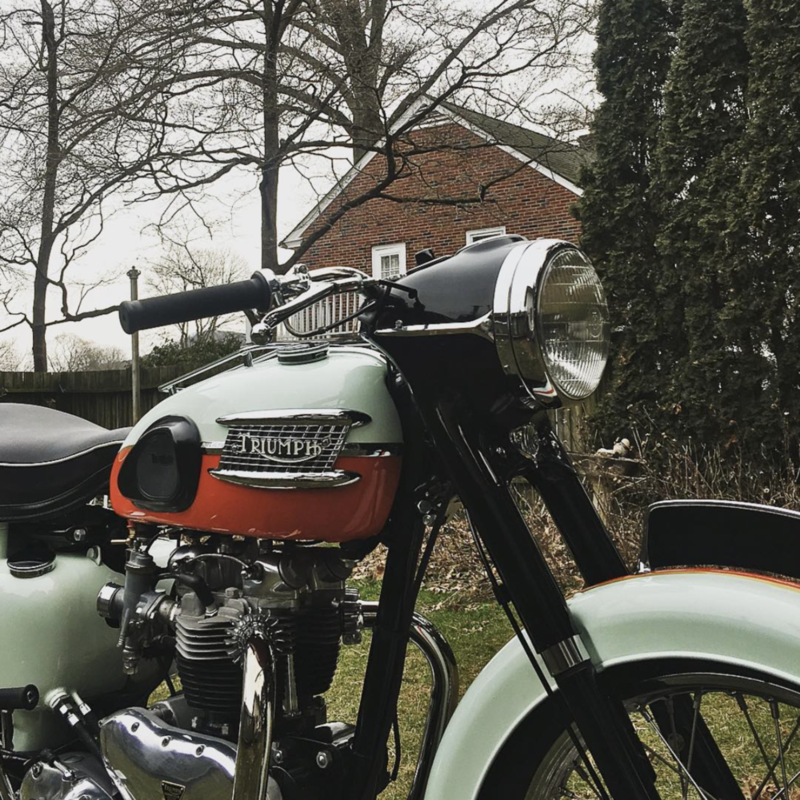 He says; “I enjoy vintage motorcycles because they connect me to the past/ a time I know I never will be able to experience…vintage bikes are my time machine to the past as they are a tangible item, I can utilize [them] to get a feel of how things were”. His logic is bulletproof. The inner workings of a classic bike in good condition offers us a window into the past. It lets us see how things were, what has changed, and how we can use elements from the past and the present in perfect tandem to create something truly brilliant. It also helps that Steve McQueen rode one. Al agrees, remembering when he first saw McQueen on the big screen and how it inspired him to go looking down the vintage bike rabbit hole; “The first classic movie I remember really watching and remembering was “The Great Escape” with Steve McQueen. I was fascinated with the bike he rode and learned about triumph motorcycles because of this movie”. What’s so special about restorations? It is a passion project first and foremost. Rebuilding a vintage bike in your own image is invigorating and the sense of achievement is unparalleled. It also becomes addictive, which is why Al and Todd now boast an impressive list of bikes that includes models such as the 1976 BMW R75/6, 1959 Triumph Bonneville T120 (“With all original numbers matching!”) and a 1981 Yamaha XS 850, modded with custom seats, a wrapped exhaust, drag bars and exposed air filters. A big thank you to Al for sharing his amazing story with us. There’s nothing quite like a father and his son’s bond. The fact that vintage bikes were the passion that brought them so close is simply a wonderful testament to the spirit of our community.